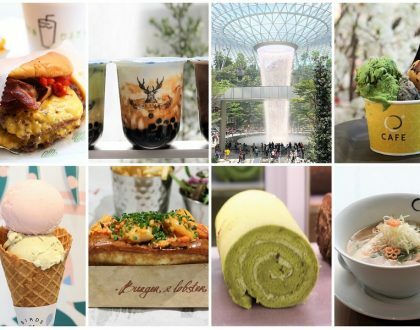 If there are any trends of mooncakes in 2012, it will be a) flavours are getting more adventurous b) many shops other than the hotels and restaurants are selling mooncakes, and c) they are getting so much more expensive. Let us see some of the weird ones, Angry Bird mooncakes from Peony Jade (cute), Baked lobster mooncakes from Majestic Restaurant (extravagant), Ham and Cheese from Mandarin Court Chinese Restaurant (seriously), Bak Kwa mooncakes from Singapore Marriott Hotel (better to leave for CNY), and Ginseng with Macadamia Nuts mooncakes from TCM company Eu Yan Sang (does this improve my blood circulation?). Who would have thought that mooncakes which were once used in the Ming dynasty to hide secret messages for the Han Chinese revolt, would have turned be to a huge marketing gimmicky device in 2012? Consider me boring. I am less adventurous in my choices (give me plain lotus paste any time), and here are my Best 5 Mooncakes which left an impression out of the dozens in my fridge. Trust the Hong Kongers to come out with such delicious mooncakes. If you haven’t never tried The Peninsula Hong Kong’s egg custard mooncakes ($48 for eight assorted mini), you do not know what you are missing out. 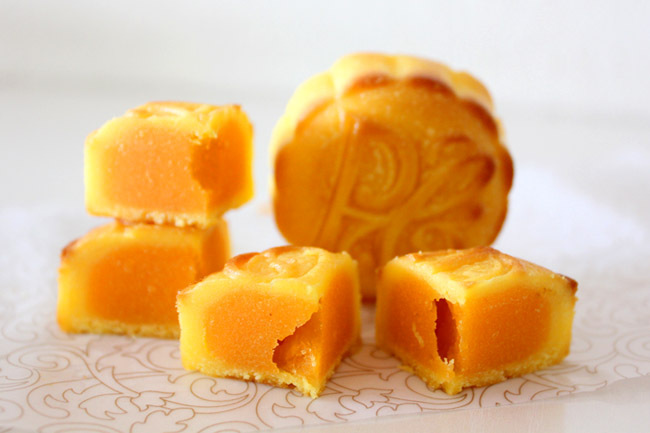 Based on the exclusive traditional recipe originating from The Peninsula Hong Kong in 1986, the light mini-egg custard mooncake is a delicious contemporary take on the traditional filling of lotus seed paste and duck egg yolk. 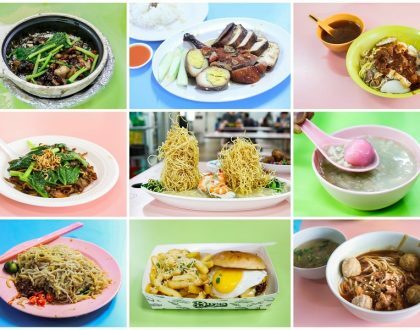 Boss told me that it has been selling like hot-cakes since my blog post, and only limited boxes are left. Created by Executive Chinese Chef Sunny Kong, Mandarin Court at Mandarin Orchard has homemade creations such as the Mini Snow Skin Raspberry Mooncake ($56 for 8), Mini Snow Skin Cheese with Citrus Mooncake ($56 for 8), and the ladies’ favourite of Mini Snow Skin Lychee Martini Mooncakes ($52 for 8). However, it was the most traditional one that stole my heart. I find the Baked Mooncake with Single Yolk and White Lotus Paste ($55 for 4) simple, straightforward, smooth and not overly sweet. 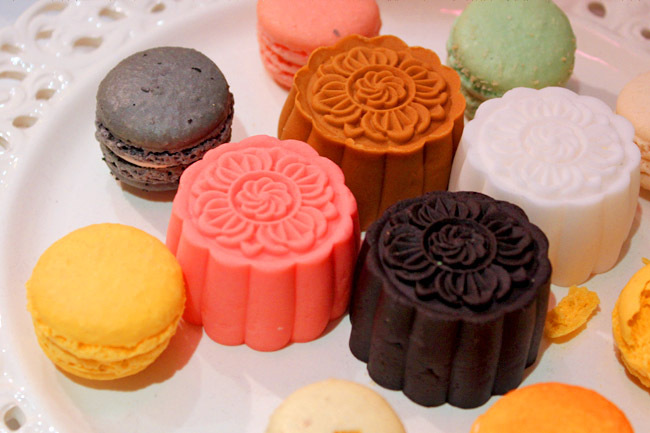 Talk about durian mooncakes, the first place to come to mind is Goodwood Park Hotel. 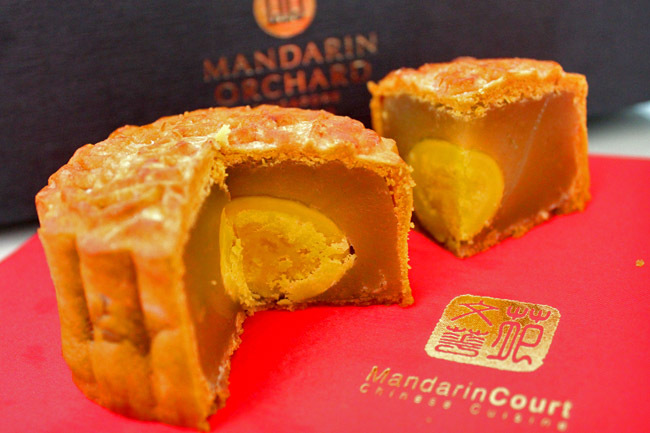 (Read Goodwood Park Hotel’s Durians).This year they have launched Mao Shan Wang durian mooncakes ($38 for two pieces, $68 for four pieces) which will delight every durian fan. The snowskin is in a pretty olive green representing the durian husk, also reminding me of huge jade blocks. The Mao Shan Wang, the king of all durian variant, has firm yet creamy flesh, and leaves a deep impression everytime you open your fridge. I right to say some mooncakes are just different for the sake of being different. Dim Sum Chef Kerene Cheng must have an extremely difficult task creating mooncakes (S$56.80 for a box of 8, with 2 pieces per flavour).representing the flavours of life – sour, sweet, bitter and spicy (酸、甜、苦、辣). Bitter mooncakes?! The Osmanthus with White Lotus Paste being sweet and delicate is easily my favourite. 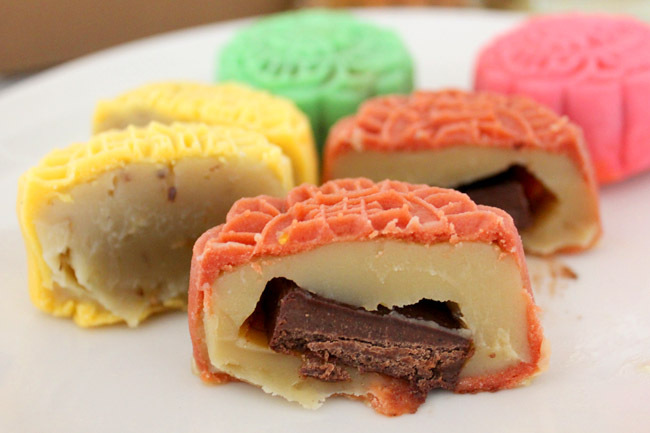 Some would find that the Spicy Chocolate Snowskin Mooncake differently refreshing. While the Mini Bitter Gourd & Cashew Nuts does not really work for me, it has its fair share of fans. Looks like there is something for everyone. Crystal Jade’s Mid-Autumn gift set this year must have been one of the most beautiful I have received. 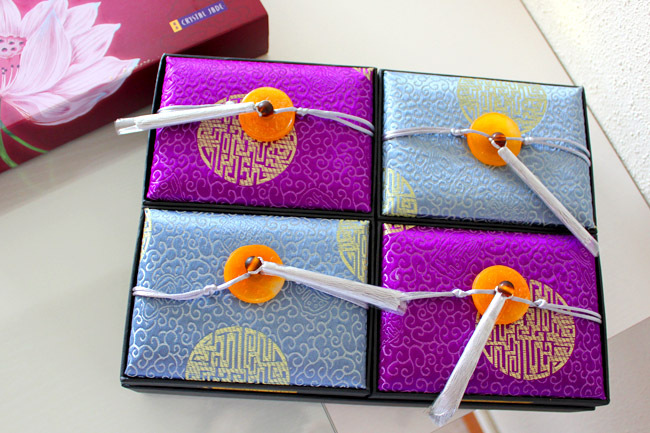 Its limited edition Premium Gold Treasure ($88.00 for 4 pieces) comes with four individual boxes with lids of silk, each adorned with a “seal” with the words “Fei Cui” (Crystal Jade in Chinese). 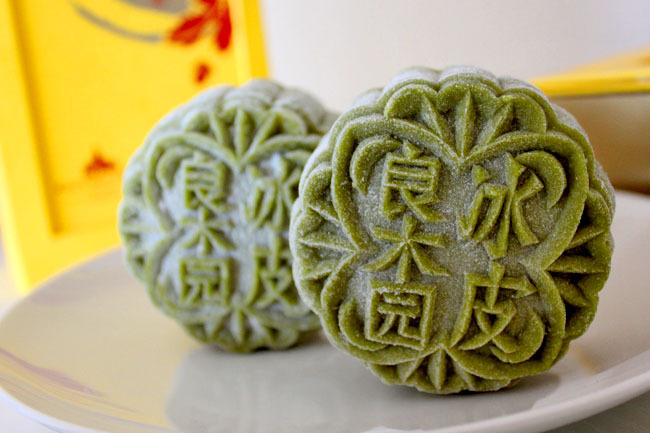 Consider this one of the higher priced mooncakes around. The set comprises of Gold Leaf White Lotus Paste with Double Yolk, Gold Leaf Red Lotus Paste with Double Yolk, Gold Leaf Plain White Lotus Paste, and Gold Leaf Mixed Nuts and Ham. After finishing the mooncakes, mum can use it to keep jewellery. One man’s mooncake is another man’s heartache. 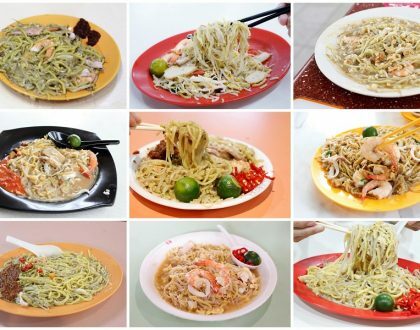 Which is your favourite mooncake this year, one you are willing to consume 800 calories for? I would like to see how the Angry Bird Mooncakes look up close. But anyway, yes, do take a picture of the Hello Kitty Mooncakes. I wonder if its 2 or 3D!